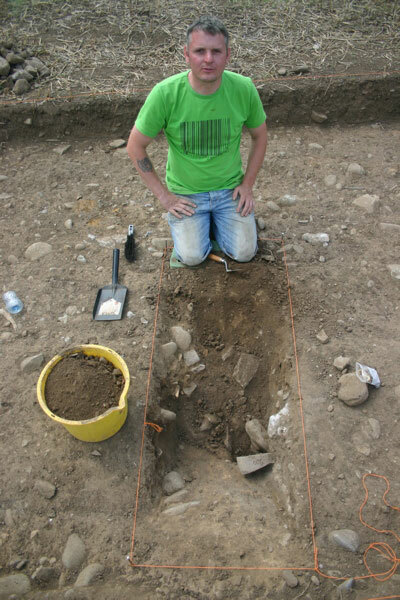 Matt cuts the first sod of the season. 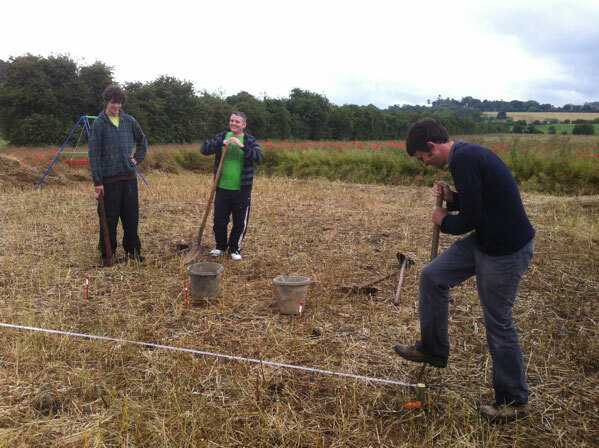 Having successfully taken all of the soil samples from the ploughsoil surface for later magnetic susceptibility analysis there was nothing further to delay actually getting stuck in and doing some digging. 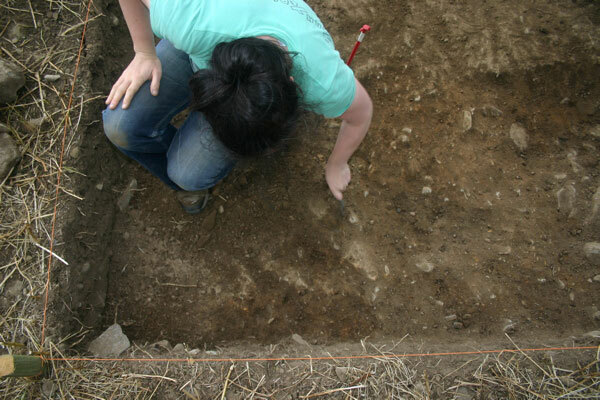 We set out each cutting – Cutting 6 in Area 1 and Cutting 7 in Area 2. 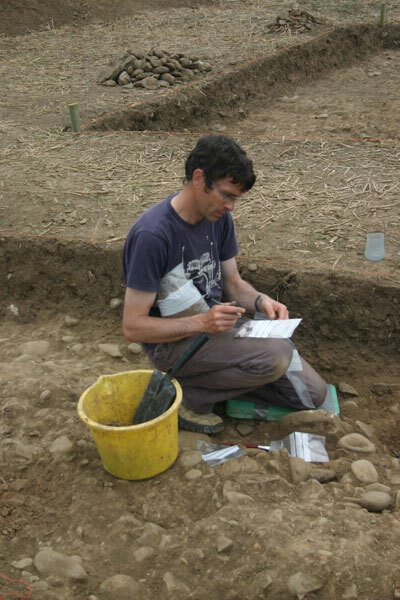 We are continuing the trench numbering system from last year to avoid any overlay or confusion in the archive. 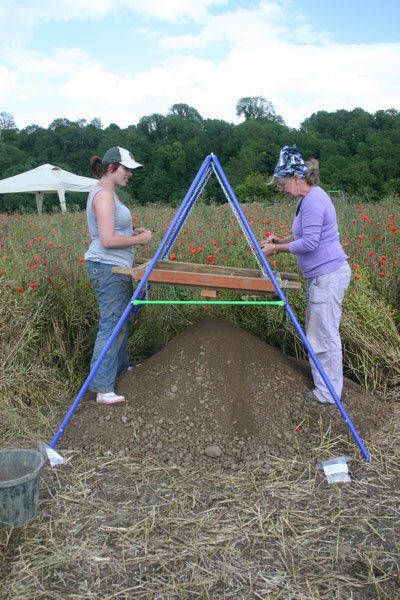 Cutting 6 measures 10m x 3m and is orientated north-south while Cutting 7 measures 5m x 4m. 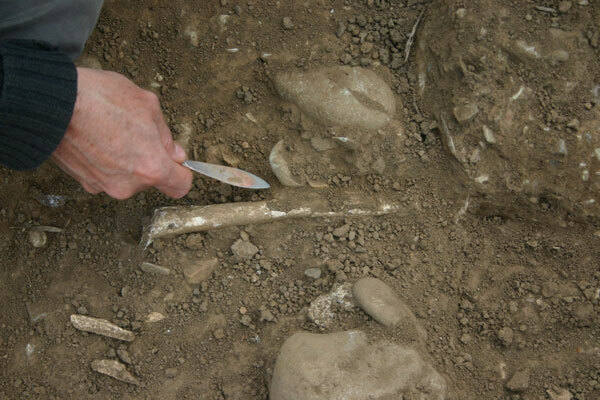 An interesting find turns up in the sieve. 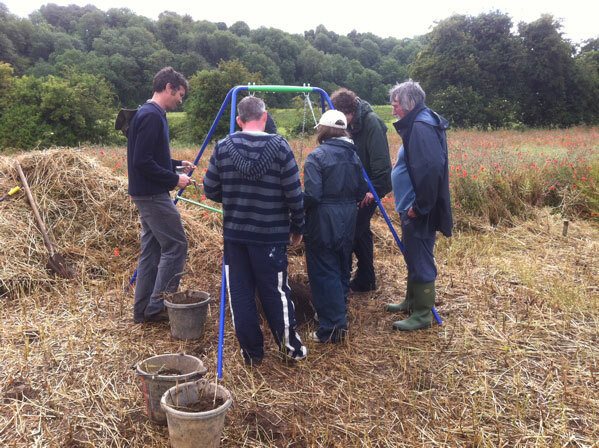 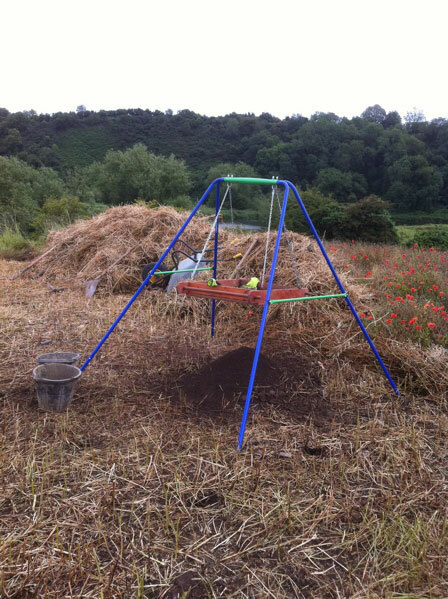 The ploughsoil in each cutting is being taken down first using mattocks and shovels and the spoil is being sieved for artefacts. 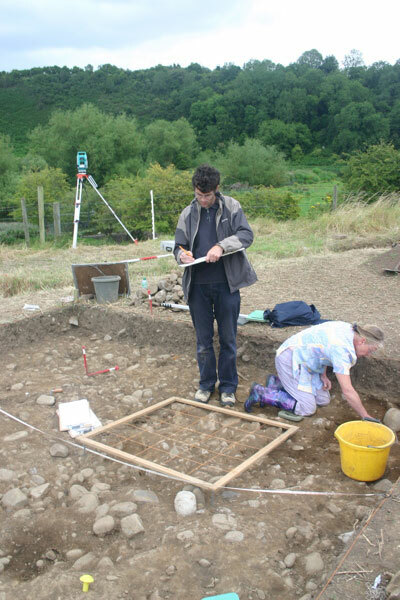 This is being done on a metre-by-metre basis so there is spatial control on the artefacts retrieved. 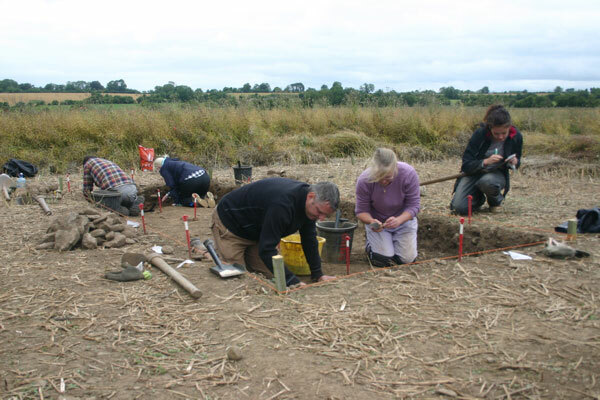 Although the ploughsoil is a disturbed context and a very dynamic layer, there could be a relationship between the material ‘floating’ in the ploughsoil and the features beneath it. 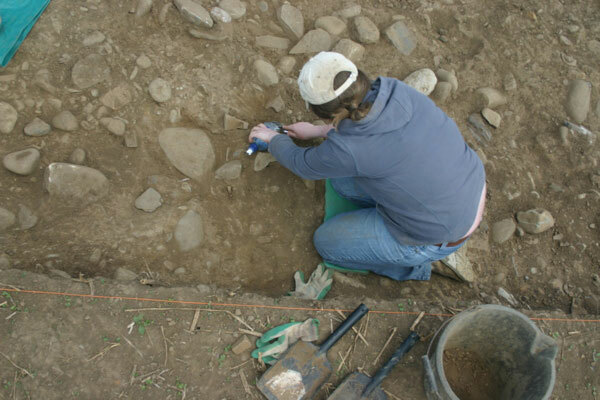 We are recording the spatial locations of the artefacts anyway and hopefully in the final analysis patterns and relationships will emerge. 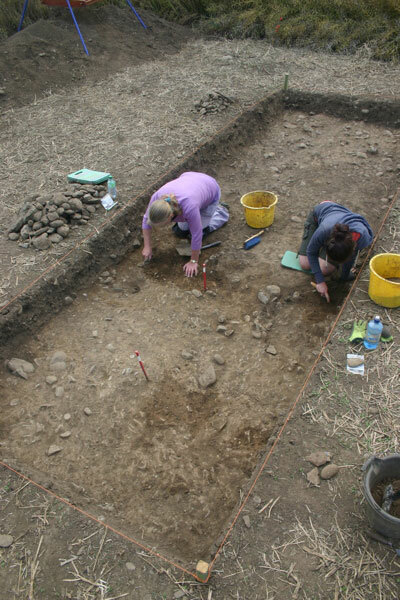 Mags and Jamie using the Area 1 sieve. 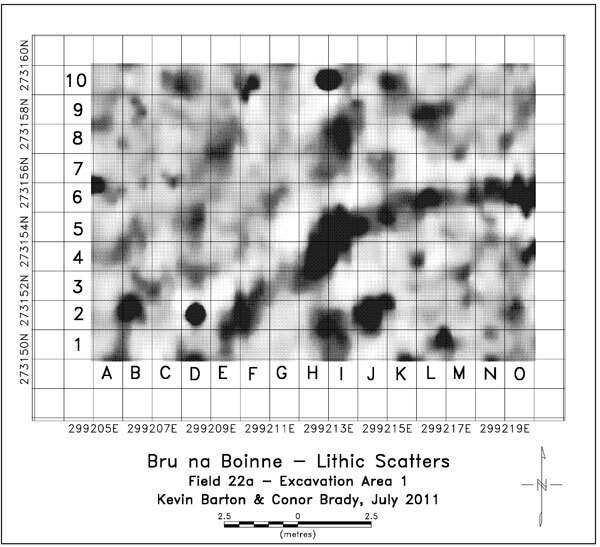 The 2011 Season is here! 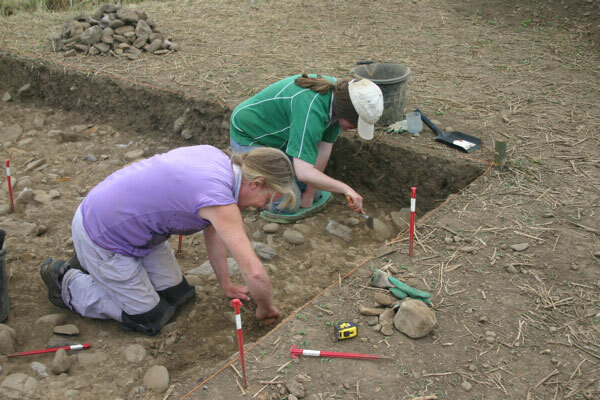 It is now possible to announce that a second season of excavation will now take place at Rossnaree during the coming summer. 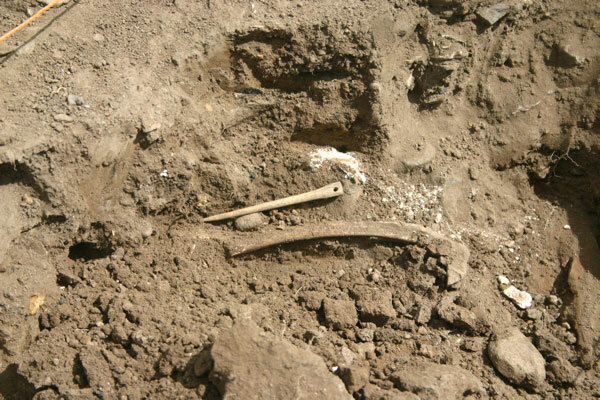 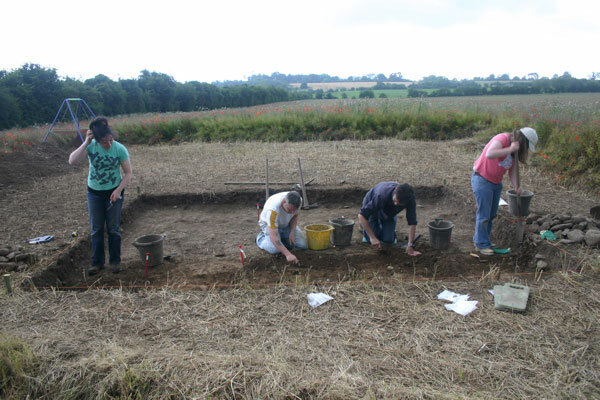 It is probably safe to say that the dig last year was highly successful. 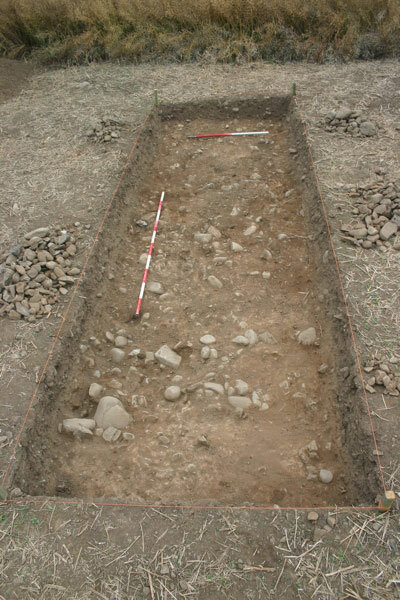 Almost all of the objectives of the project were achieved, the most important of these being the retrieval of material suitable for dating the features at the site. 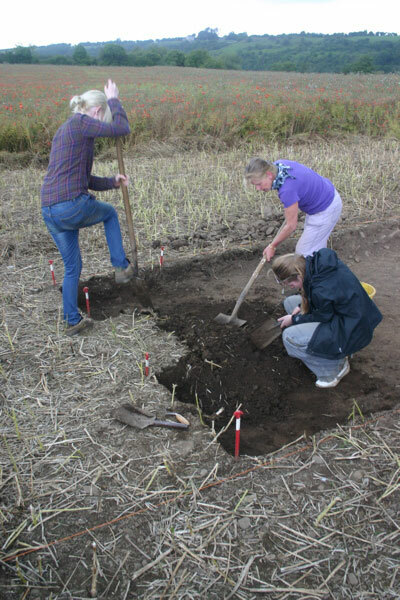 Animal bone was recovered from stratigraphically perfect positions at the base of each of the ditches and in due course these will hopefully provide radiocarbon dates. 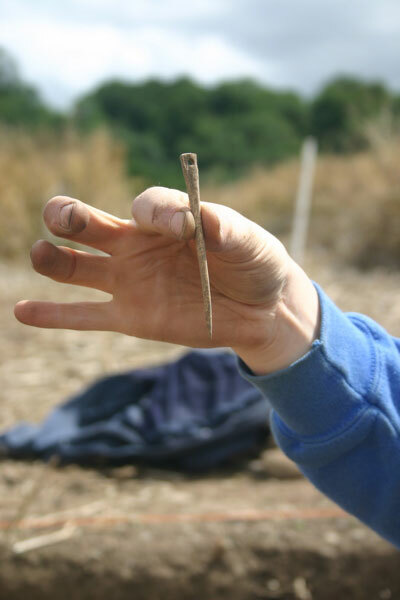 However, during the excavation itself, we recovered artefacts which gave us a much quicker indication of the date of some of the ectivity carried out at the site in the past. 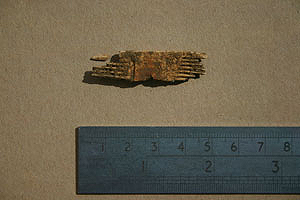 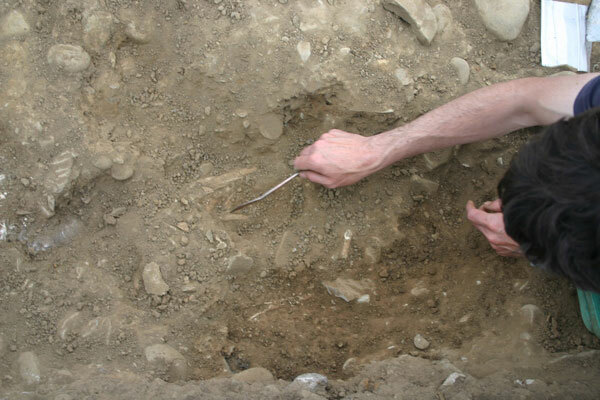 A fragment of a double-sided bone comb indicated that the innermost bank (and probably the ditch too) was constructed sometime in the late first millennium AD. 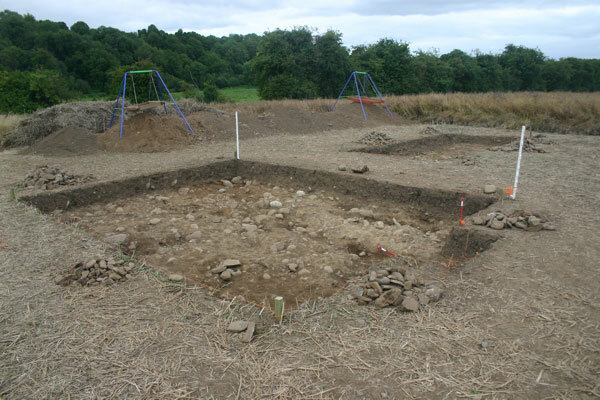 This represents an important addition to our knowledge of activity at this time in the Brú na Bóinne area. 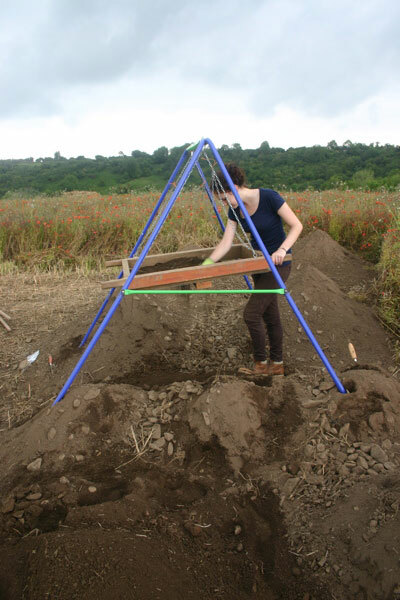 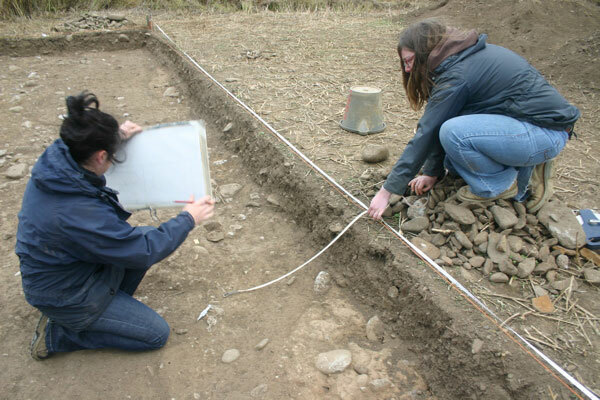 However, the main research interest of the project is prehistoric, specifically settlement activity in the area during the time when the major prehistoric monuments in the area – the passage tombs and henges – were being built and used. 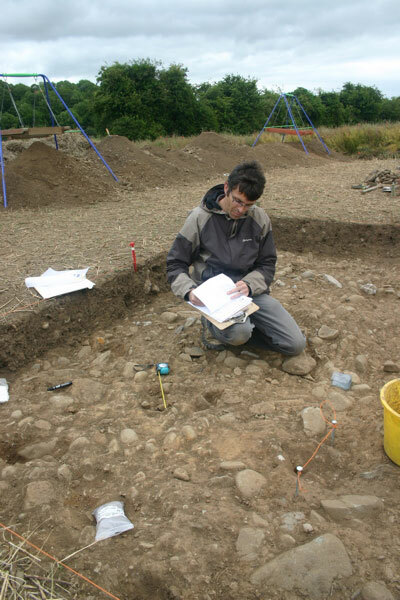 We also still had to explain the major lithic scatter on the surface of the field which brought us to the Rossnaree site in the first place. 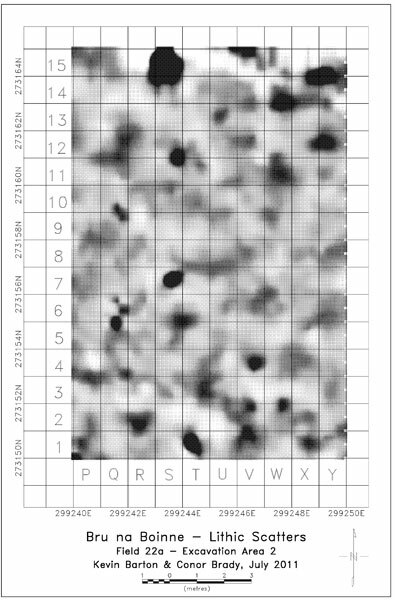 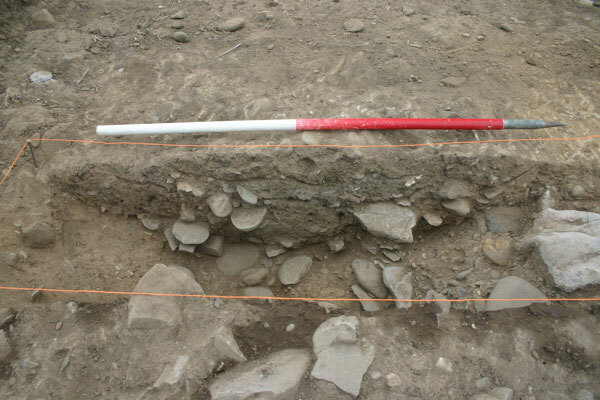 This was deposited as a result of significant activity during the Neolithic period and it remains a distinct possibility that some of the anomalies identified in the initial geophysical surveys are Neolithic rather than early medieval. 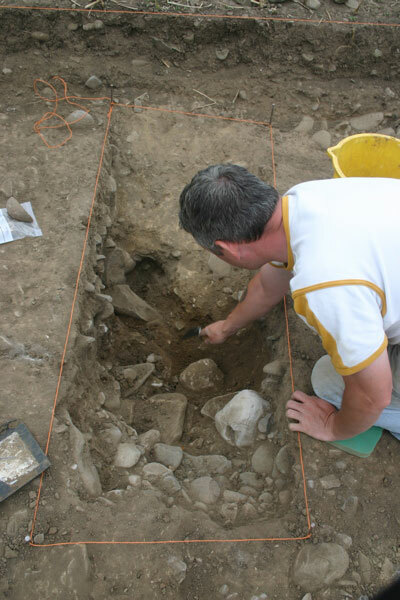 Because of this, we decided to have another look and this year we will be excavating in two areas within the ‘core’ area of the site on the top of the little knoll within the central enclosure. 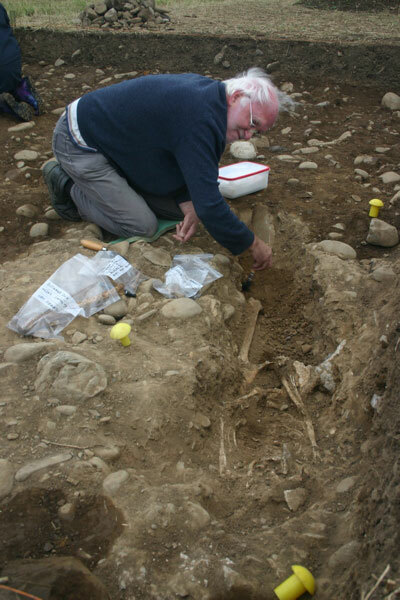 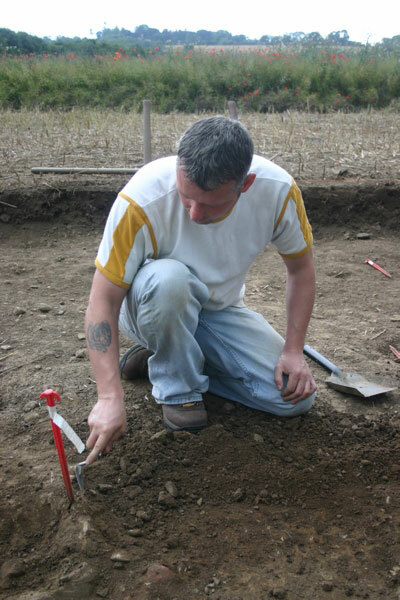 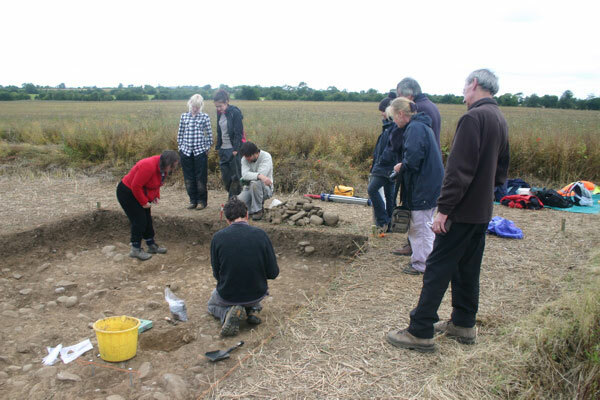 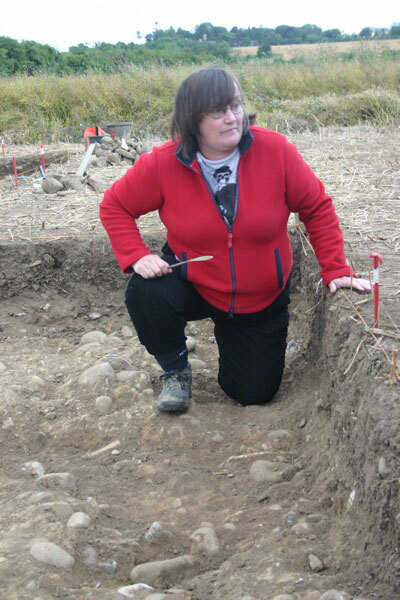 A grant has been secured from the Royal Irish Academy Committee for Archaeology to fund the work and a group of volunteer students from Dundalk Institute of Technology and elsewhere have signed up to work on the site.